1 3/10 Chicken Liver or heart, etc. Grind the chicken. You can use backs and necks, or whatever you want. 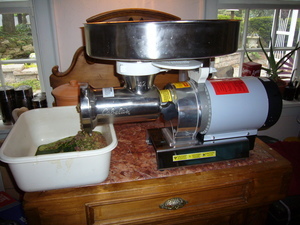 Without bothering to clean the grinder, grind the veggies, eggs (including shell), fruit, and offal. 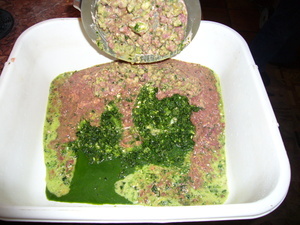 For the veggies using whatever you want, but the greener/brighter the better. Try to reduce starches like potatoes and squash, as well as sweet veggies like carrots. You can use some, just not in the majority. In sample above we used Swiss Chard and romaine, a zucchini and a yellow squash. 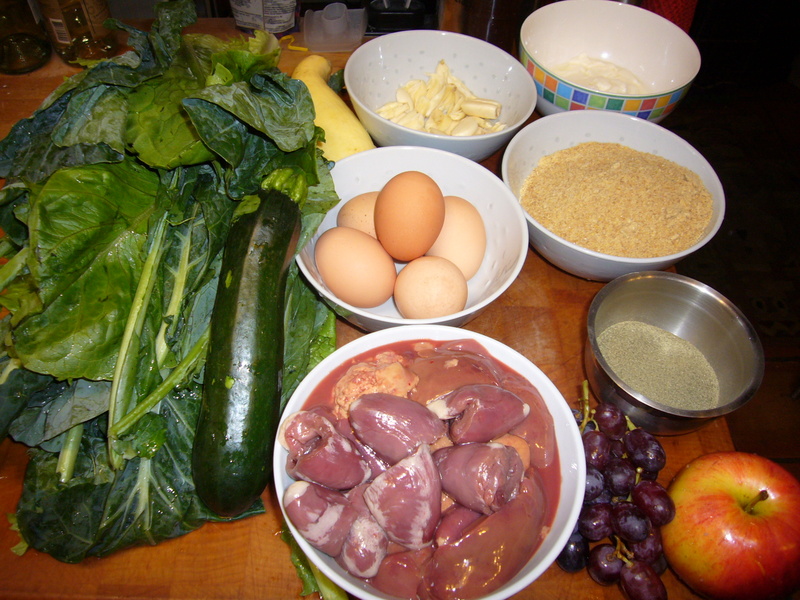 For the offal, you can use a combination of heart, liver, gizzard, and kidney, but try to use 2/3 liver and 1/3 other. 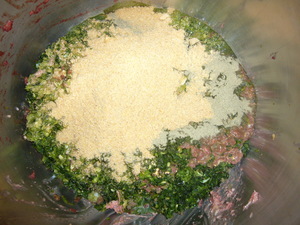 Add the ground flax seed, yogurt, and kelp. 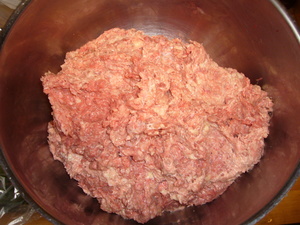 Mix till uniform. Package. I'm using the 1.75 HP grinder from Cabela's. While I don't know that all that power is needed, it surely makes grinding everything easy. The recipe above makes about 15# which is perfect for 3 5# batches. We need 5# per day for all three dogs.